I have no idea what is going on. My house is flooded, and I’m still in Ohio. 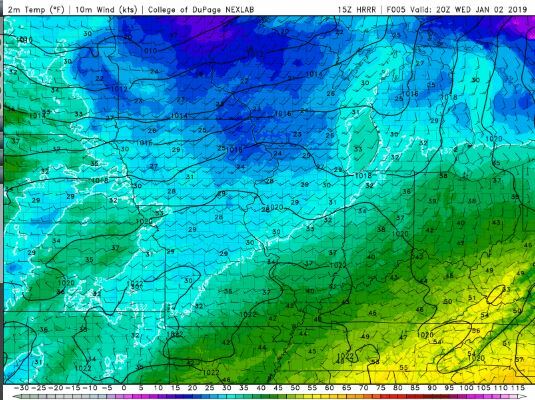 The NWS in Cleveland, OH, (for Medina, OH), forecasts a cloudy day with a high temperature of 38 F. Winds will be from the south at 5-8 mph. This evening will be cloudy, with a 30% chance of snow showers, and a low temperature of 27 F. Winds will be from the south at 6-11 mph, becoming west after midnight. 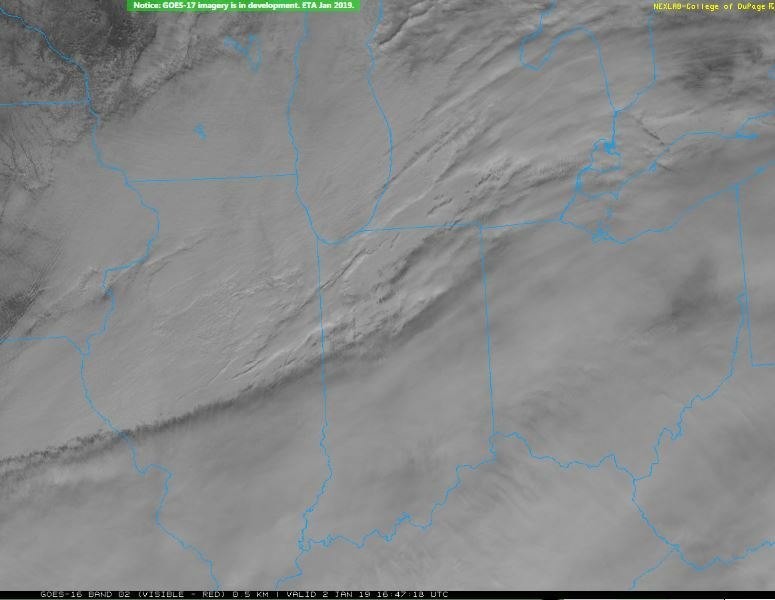 The visible satellite imagery shows that most of Ohio is under heavy cloud cover. 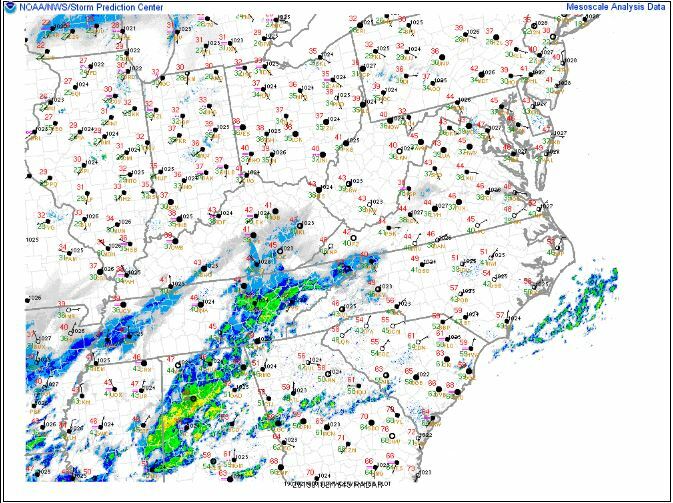 The surface observations chart (from the SPC Mesoscale Analysis Map) show cold temperatures and high humidity (based on the surface dewpoint depressions). The skies are currently cloudy (according to the sensors). Winds are light and from the southeast. 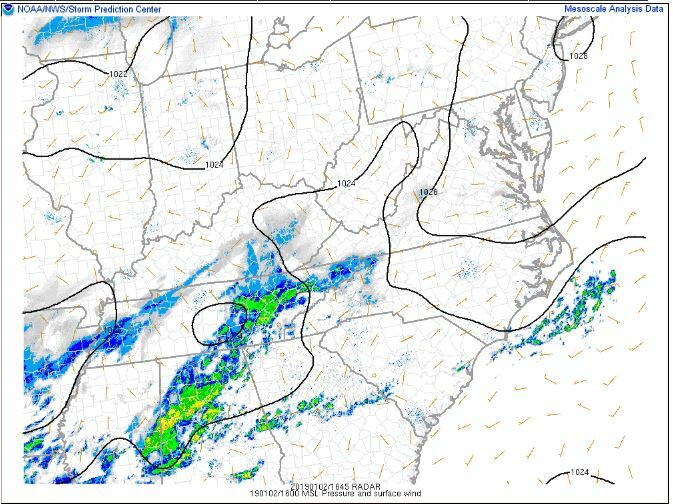 The surface pressure chart (from the SPC Mesoscale Analysis Map) shows that we are under high pressure, but no strong pressure systems this morning.. The RAP shows that this trend will continue for at least the next six hours. 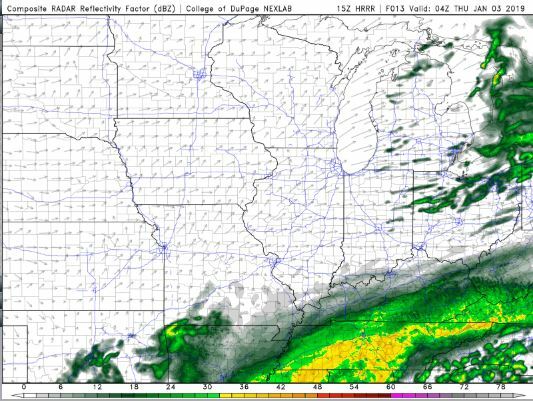 The HRRR simulated reflectivity shows some precipitation later this evening. Unfortunately, this will likely be snow, which does not delight me at all. We will see temperatures reach only the lower 40s F around 20 Z today. The skies will remain cloudy all day and all evening. I have no idea what is happening. I hoped we would go back and take care of our flooded house, and perhaps arrive sooner. I don’t know when we are leaving at this point. 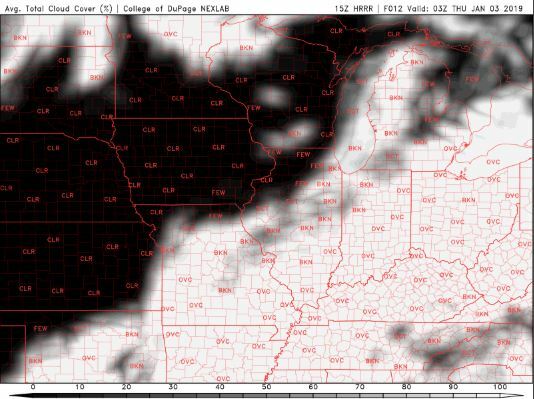 This entry was posted in Local WX, Practicing Concepts, Predictions, Satellite Imagery, travel and tagged #ohwx, Medina, meteorology, Ohio, road trip, weather. Bookmark the permalink. Oh man… what a way to start the year. Be well. Yeah, it’s off to a grand start. I’ve heard from the neighbor and she says that it isn’t bad today, and that a bunch of the floor is dry already. Hooray for the desert.